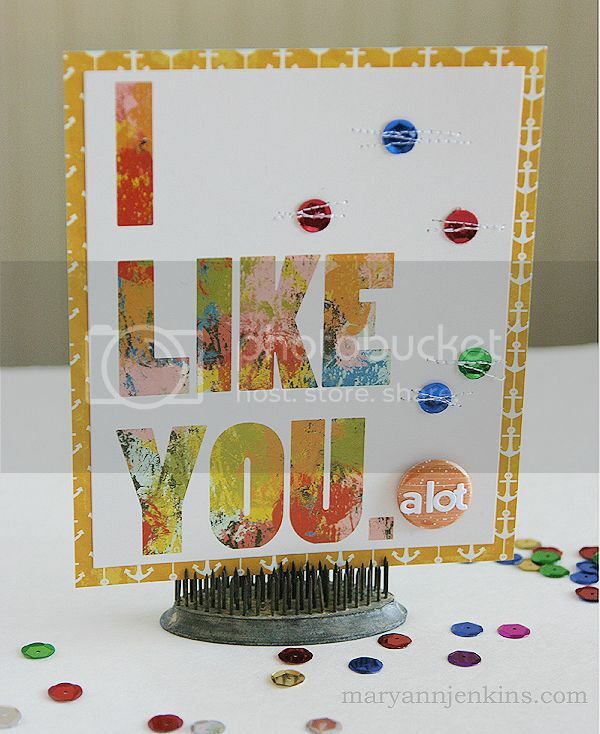 Here's two fun cards that I made with the "Days of the Week" kit from The Paper Bakery. 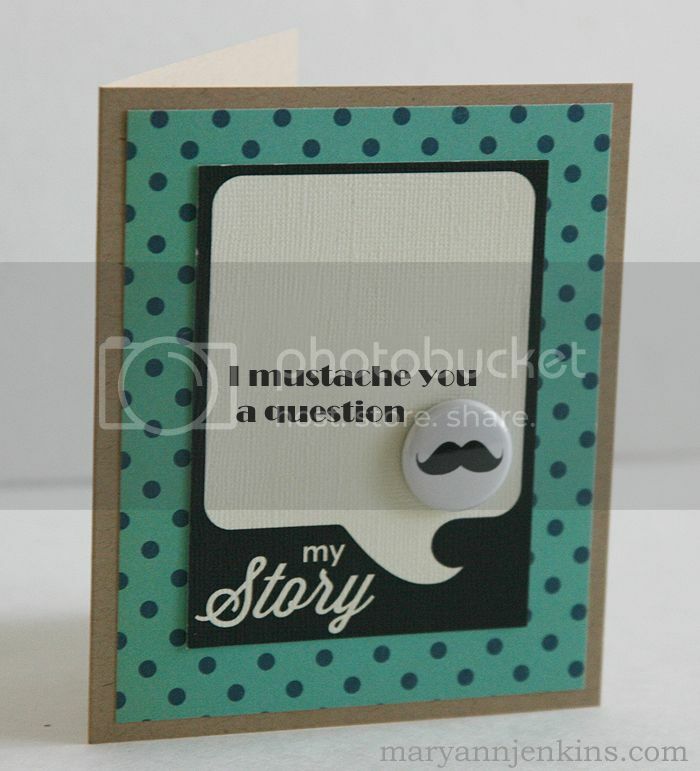 Don't you just l.o.v.e that cute little mustache flair button!! Oh so funny!! I used a flair button on this one too, and added the Jillibean Soup alphas to spell out "a lot". I added a few sequins (new fave thing!) and stitched right over the top of them. Thanks for stopping by today, have a wonderful weekend! 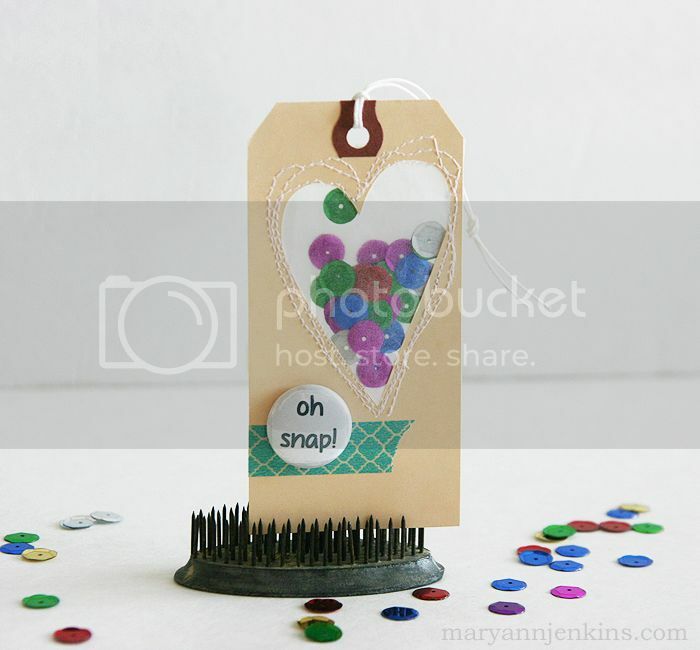 Busy week going on, so I just wanted to pop in, say hello, and share this cute little tag. Hi Friends! It's Monday again, and to start this week out right, I've got a layout made with the "Days of the Week" kit from the Paper Bakery. Do I dare say this is my most favorite kit ever?? Love it! I added a "G" sticker to a flair and was quite happy that it fit just right and looked so cute! Oh, and don't you love the sequins! So perfect for my glitzy girl. Well, thanks for stopping by. I always appreciate the visit! Pretty Little Studio is introducing the new Design Team members on their blog this week, and today is my day! Be sure to stop by to find out a few fun facts about me, and enter to win one of my favorite Pretty Little Studio products, the Wishful paper Ribbons. 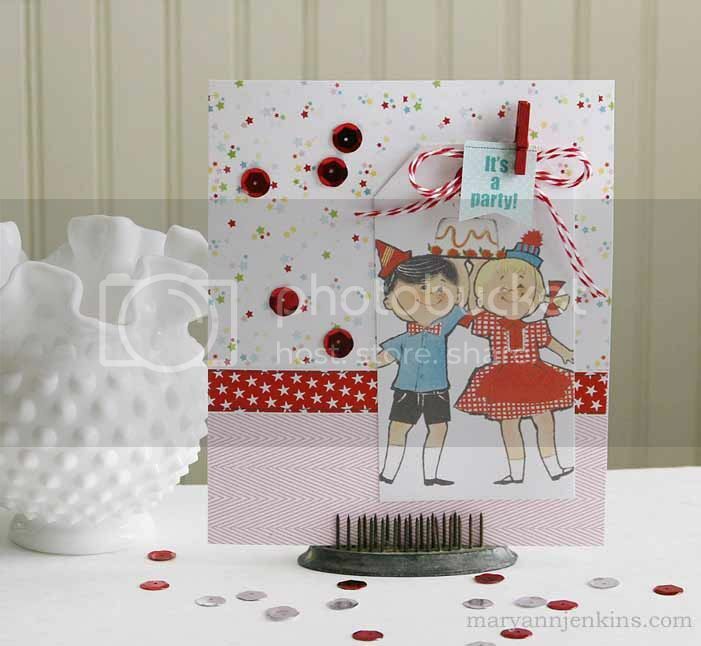 Here's a cute little card I made using the soon to be released Birthday Cake collection. Isn't it cute! Don't forget to check out the PLS blog for my favorite product giveaway! It's President's day, so that means a day of no work/school in our house. Thank you Abraham & George ;) And although this layout has absolutely nothing to do with President's day, here's a new layout I made for Scrapbook Daisies. I did a little paint splattering on the cardstock, and the rest is all from the "He Said, She Said" collection by Teresa Collins. Well, that's it for now. Enjoy your day, and thanks for stopping by! 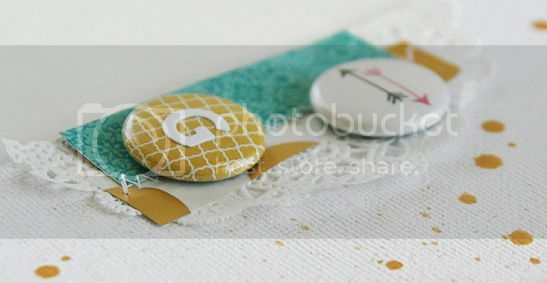 I did a little layering here and there with some pretty papers, a cute little doily and some of my favorite washi tape. Oh, and don't you just love the sweet little geotag with the heart!! Well, have a great weekend, it's time to relax and enjoy! 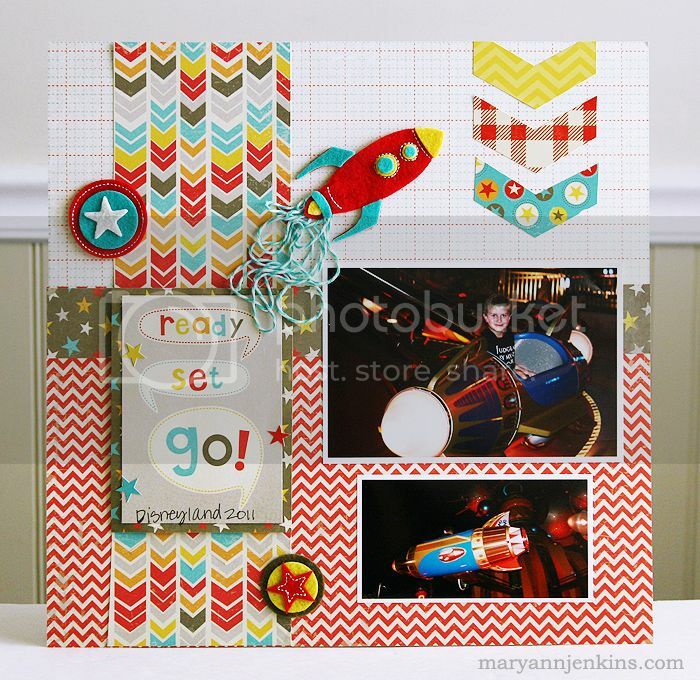 I added a little bit of twine to the cute felt rocket ship, I love that part of the layout! Hello friends! 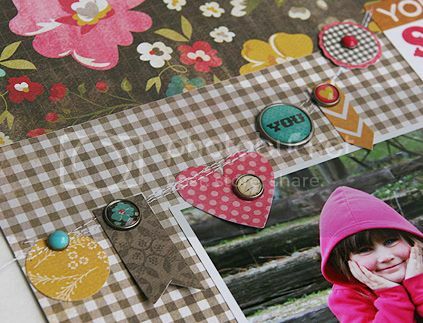 Today I have a layout I made for Scrapbook Daisies using the brand new "Unforgettable" collection by My Minds Eye. Don't you just love the beautiful colors!!! 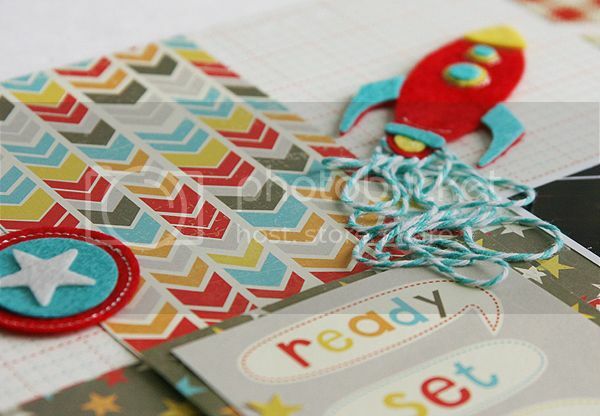 I used the cute matching brads, along with a little machine stitching to form a banner across the top of the page. 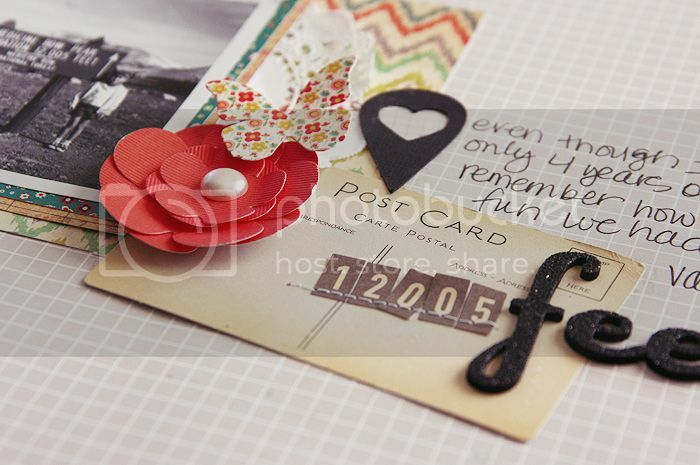 I didn't do any journaling on this one except for the date, the sentiments in the the title die-cut said it all! Hi friends! 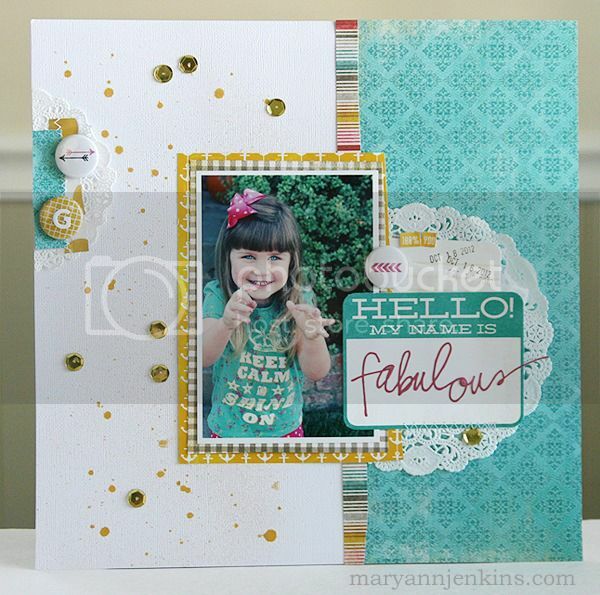 Here's a layout I made for Scrapbook Daisies using the new "Stationery Noted" collection by Teresa Collins. 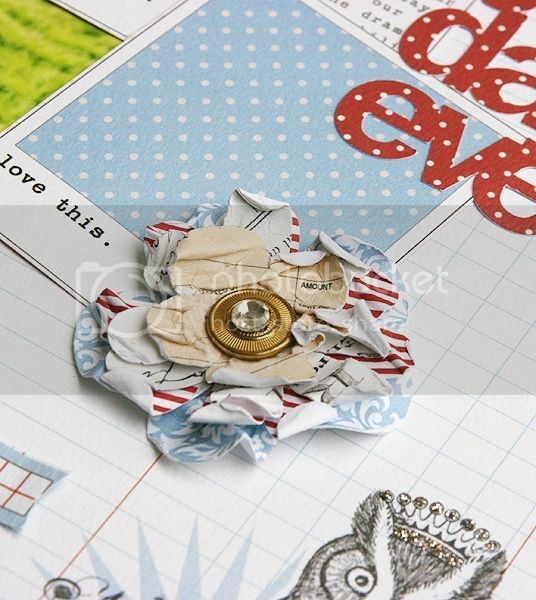 For the shabby looking flowers, I misted the flower die-cut shapes with water, and crumpled each piece into a ball. I unfolded the pieces, but still left them a bit crumpled and wrinkled for that cute shabby look. 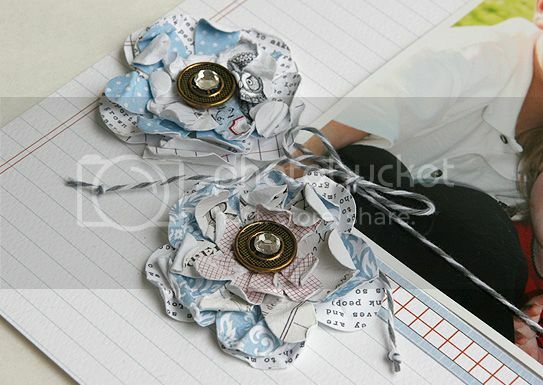 I then layered and glued the pieces together, and added an old button and rhinestone to the centers. I cut the polaroid shapes and title from coordinating papers, and added a bit of Stickles to the sweet little owls crown. Yes, the photos are 40 years old (omg seriously?) and yes, Mickey and I both look a bit different than we do today, but I love it anyway. 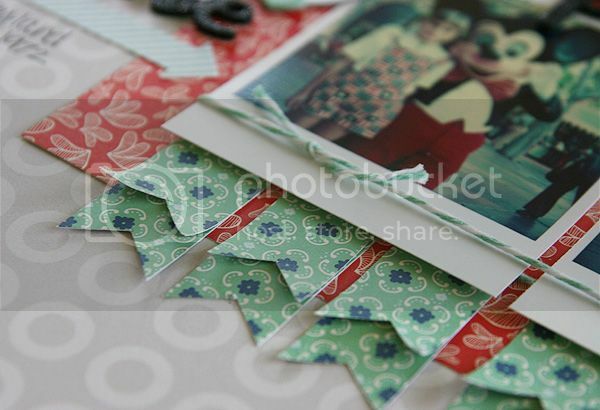 I embraced the green tint in the photos and added the cute little green banner flags. 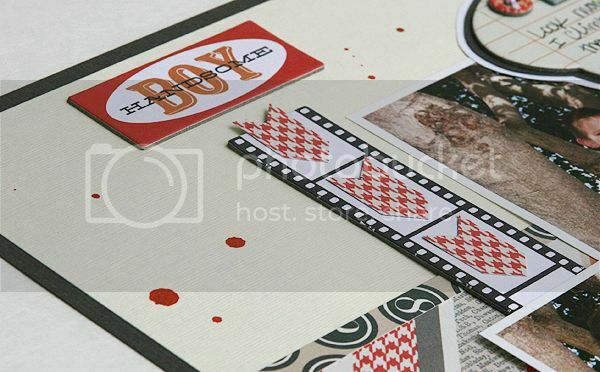 Here's a layout I made using the January add-on kit from the Paper Bakery and a new favorite photo. 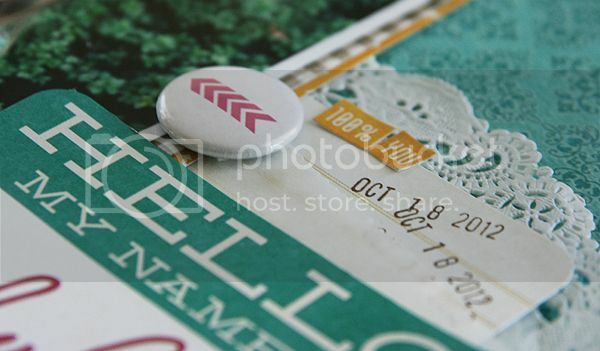 Since I print my own pictures at home, I added my journaling to the photo before printing. That left plenty of room to add a few simple embellishments. 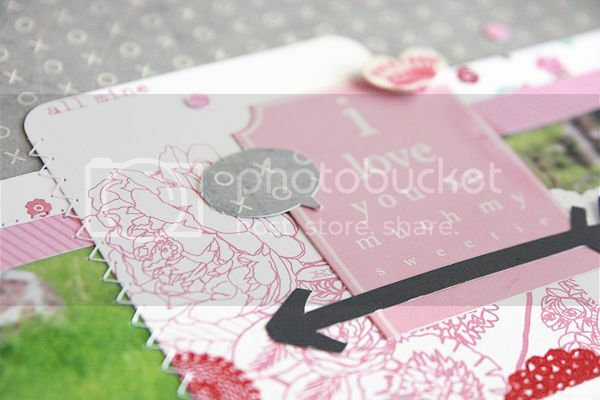 The cute Pink Paislee journaling shapes and arrow were perfect to add, and didn't take away from the large photo that I wanted to be the main focus of my layout. 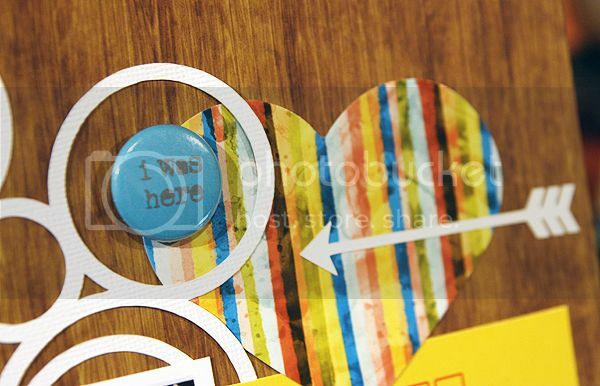 For a little extra color, I added some punched circles (left over from another project) as confetti to the top half of the layout. The next time you have a photo that becomes your new favorite, try enlarging it and see what you come up with!